What's Exciting In CAMP TIKVAH Dynamic opportunities abound at CAMP TIKVAH, an exceptional camping experience for children with special needs. The programs are specifically designed for children between the ages of 3-8, 9-12 and 13-21 who have cognitive and/or physical disabilities. All activities are developed with the particular needs of the special child in mind. A stimulating environment with hands-on experiences is created for your child. The program is designed to instill confidence, develop social and life skills, increase attention span and improve fine and gross motor abilities. Campers participate in the general camp, on an individual basis, where appropriate. *Must be registered in school in order to participate in camp & have a current EIP. The JCC offers an inclusion program for high-functioning special needs campers. Throughout the day, campers will have an advocate to guide them and they will be part of a general camp bunk. You must meet with Johana Sarmiento Special Needs Director, before registration is accepted. Dance, Theater, Musical Theater, Fine Arts/Crafts, Video/Filmmaking/Photography, Basketball, Football, Baseball, Weightloss, Soccer, Swimming, Computers, Science, Technology, Adventure, and more. - Swim Program With Swim Gym. Children Ages 3 & Older Receive Swim Lessons In Our Jr. Olympic Size Pool. 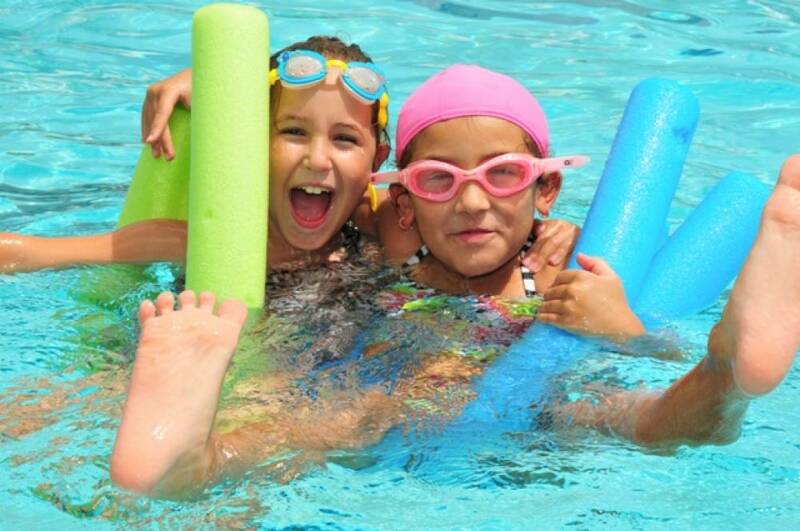 Swim Program Includes Instruction & Age-appropriate Water Games (Children Must Be Toilet Trained). - Over 40 Hobby Hour Activities. - Adventure Camp For Tsofim & Rishonim Which Includes Challenging Skill Building Trips. - Overnight Trips For Rishonim Campers In Addition To Optional Long Distance Trips. - A High Level Computer Program. - Late Night Adventures During Each Session Of Camp. - Team Building Programs That Promote Good Sportsmanship & Cooperation. - Specialists: Highly Trained Professionals Who Instruct In Nature & Science, Visual & Performing Arts, & Sports, Which Includes Baseball, Tennis, Basketball, Soccer Football & Martial Arts. - Ruach-extraordinary Spirit Led By Three Music Directors. - An Inclusion Program For High Functioning Special Needs Campers. - Special Events For All Campers. - Air-conditioned gymnasium - 15,000 sq. ft.
SPORTS CAMP is an in-depth, state-of-the-art athletic experience designed for boys and girls. Under the guidance of our certified, professional staff, campers participate in a wide variety of sports using the Alper JCC’s outstanding facilities. Campers are grouped according to age and participate in activities with their bunkmates. Lights, Camera, Action! HABIMAH campers expand their horizons and artistic potential in dance, drama, art and music. Under the guidance of our highly trained and talented staff, campers are immersed in a high level, 4-week production schedule filled with rehearsals, set designing, and a final musical performance at the end of each session. In addition to the arts, campers will participate in fitness activities, an instructional water games program and expanded Hobby Hour choices. HADRACHA combines leadership training with a fun camp experience. LITs will work with campers and travel on field trips or participate in leadership and team building programs for 2 days. LITS will participate in mitzvah ("good deed") projects and trips. Additionally, one day will be spent at the JCC working on camp wide special events programming, and spending time with campers. An interview process and acceptance is required for admission into the LIT program. 25 Community Service hours will be awarded for each 4-week session. You can attend for 2,4,6 or 8-week intervals.